4 stars for this well made tale of swords and sorcery. 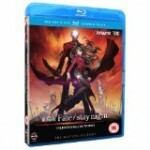 Fate/Stay Night: Unlimited Blade Works is directed by Yuji Yamaguchi and is based upon and features the characters from the TV series of the same name. 3.5 stars for the latest offering from Eli Roth. The Last Exorcism Part II is directed and written by Ed Gass- Donnelly (Small Town Murder Song, This Beautiful City) and produced by Eli Roth (Aftershock, Cabin Fever). 3.0 stars for this latest release in the Naruto series. 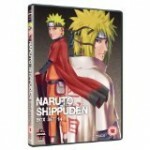 This box set starts at episode 167 in the story, and comprises the last seven episodes of the Invasion of Pain arc and the first four episodes of the Konoha History arc. Again, this stars our hero Naruto and his friends as they battle the forces of evil. 4.5 stars for this hilarious swashbuckling pirate adventure. One piece is based on the Manga by Eiichiro Oda, which appears in Weekly Shonan Jump and is the best selling Manga series of all time. 1 star for this misguided attempt at a children’s film. 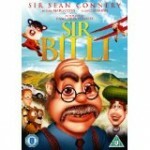 Sir Billi is written by Tessa Hartman (her writing and producing début, rather embarrassingly) , directed by Sascha Hartman (again, a first attempt) and produced by and starring Sir Sean Connery (Indiana Jones, James Bond). This film is the first Scottish full length animated feature film, and it shows. 4 Stars for the next instalment of this epic tale. Bleach series 11 is directed by Noriyuki Abe and based upon the Manga by Tite Kubo. This series comprises episodes 213 – 229 and is called Arrancar: Decisive Battle Of Karakura Arc. 5 stars for this outstanding psychological thriller. The Body (El Cuerpo) is directed by Oriol Paulo (writer of Julia’s Eyes) and is a Spanish film, subtitled in English, with well deserved rave reviews after its screening at the London film festival.